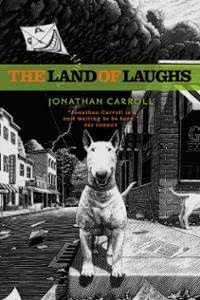 After I read and loved The Ghost in Love by Jonathan Carroll in January, Chris said I had to read The Land of Laughs next because it is his favorite Carroll. It took me a couple of months to buy it and a couple more to get to reading it (I finished it at the end of August) and now it's taken me a couple of months to get around to reviewing it. Normally this would be an issue because I have a very short book memory but not in this case because I literally haven't stopped thinking about it since the summer. 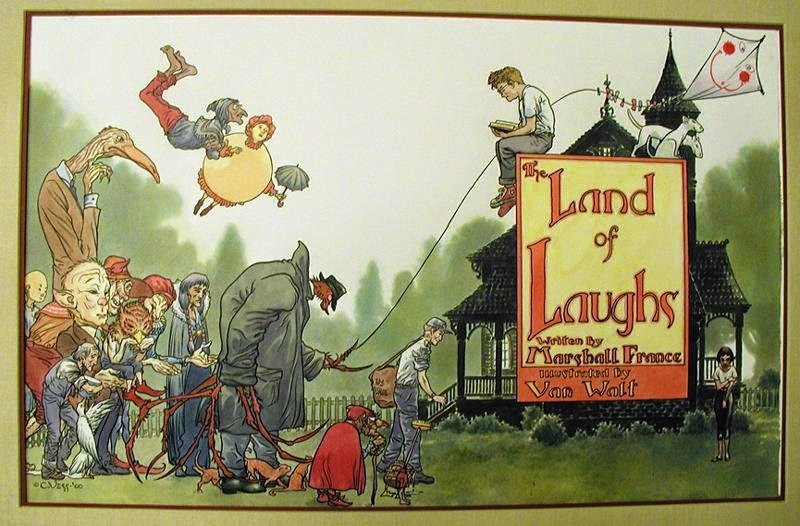 The Land of Laughs is a children's book by author Marshall France and it is Thomas Abbey's favorite book. Abbey, son of a movie star, is obsessed with the late France and his books and eventually decides to visit France's hometown of Galen, Missouri where his daughter still lives in order to research a biography he would like to write about France. What he finds in Galen boggles the mind and blurs the lines between fiction and reality. Now that I've read Carroll's first and last (for now) books, I have to figure out which of his middle books to explore. Neil Gaiman recommends all of them so I guess I'll just grab whichever one I see next! I have a feeling that I'll love it. I'm so so glad that you loved it! It's been two years since I read this book and I still think about it all the time. It's haunting to say the least. It's one of those books that becomes more and more of a favorite as time passes. I highly recommend White Apples next! It was my second book of his and it's just as hypnotic and amazing, just in a completely different way. Love that book. Oh and he DOES have a new book out too! I'm about a quarter of the way through it :p It's called Bathing the Lion. 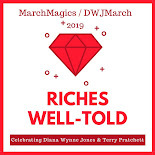 Oh no ... another new book! I need to get the next one on my TBR ASAP! I was actually thinking of White Apples because it's one that Neil Gaiman chose for his Audible label so I figured it was good. Yep...that's why I "read" that one :p I actually listened to the audio of white apples and it's really good!